Post Crisis Financial Modelling – What changes? – Computer Aided Finance - Excel, Matlab, Theta Suite etc. Post Crisis Financial Modelling – What changes? 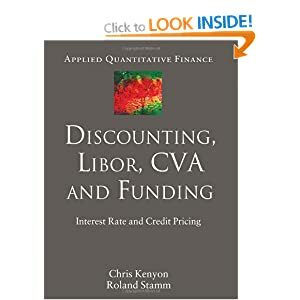 I recently stumbled upon an interesting book about post-crisis interest-rate modelling. Besides future changes in the LIBOR and possible EURIBOR fixing after the manipulations of the past few years, counter-party default and collateral become important. Pre-crisis, there was a risk-free rate on which the market agreed. This way, different banks could create interest-rate swap transactions using basically the same conditions with different counter parties. This also meant that one could price the different instruments with the same discount curve. The presented framework is quite complex. It involves several additional parameter curves. For me, the effort seems to be too much for most cases. 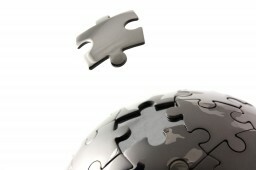 But, it is a great starting point for a new pricing framework to evolve. It is interesting to see that pre-crisis, the pricing challenge lay in the complexity of the products. Post-Crisis, the challenge is already pricing simple products. Geld anlegen und fürs Alter sparen ist wichtig. Aber wie? – Steuern durch Anreizsysteme linked to this post.